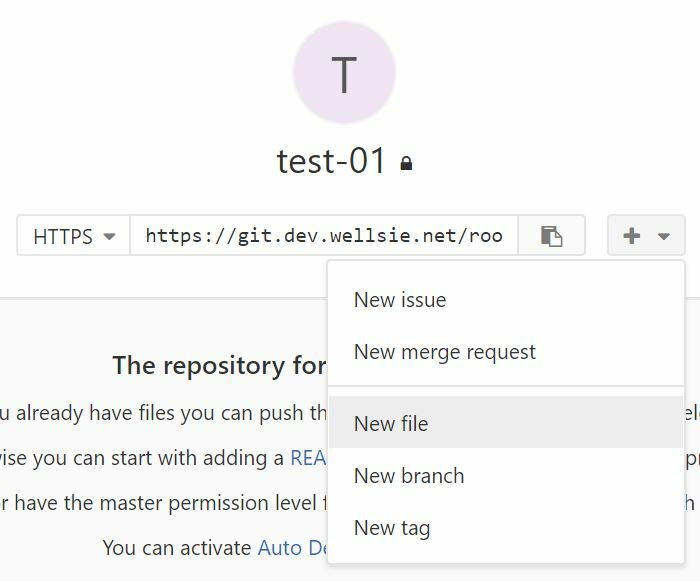 Gitlab Runners – Continuous Integration (CI) / Continuous Deployment (CD), Auto build, test, deploy code on commits. The hardware required is something that supports virtual machines. We are going to need three total VMs with 8GB total memory and maybe 128GB disk space. One machine for Gitlab, and two for the runners. The reason being is that Gitlab strongly discourages installing Gitlab and runners on the same OS. Also I’ve noticed that Gitlab is a memory hog, even with one active user. So I want to separate the machines to keep memory usage in strict control. 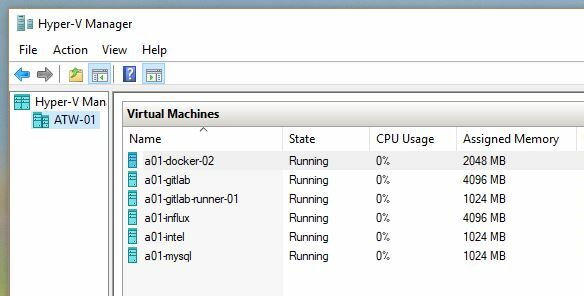 I try to keep these VMs to a temporary basis because using a primary desktop/laptop will not have the always-on uptime, useful for any hosted service. Also there are annoyances like Windows 10 rebooting in the middle of the night, taking down all the hosted VMs in the process. If you already have a hypervisor setup or want to do it differently, skip the Hypervisor Setup and Hypervisor Networking sections. Ok, time to get started. Install Xubuntu 16.04 on a base system. Customize it to your liking, installing base packages, setting up users, passwords, vim profiles, etc. I’m recommending doing a GUI on the base system so it’s easy to install the guest images. Do a quick check to make sure your CPU supports KVM. Now install the kvm software. Find the name of your primary network device, or the device with your LAN’s IP address assigned to it. These days Ubuntu makes up some strange ones like enp8s0. Edit the /etc/network/interfaces to include this adapter and a bridge setup. XFCE uses a network manager by default, but we don’t want it. Purge it. One step closer to installing some application software, but not there yet! If you installed a GUI, launch virt-manager. Otherwise, VMs can be created from the command-line. Create three new VMs – one for Gitlab, and two for runners. When I do my hostnames, I will make all the guests include an abbreviation of the host server. Here I have atw-13 for the host, and a13-* for each of the guests. Assign at least 4GB RAM / 64GB disk to Gitlab and 1GB RAM / 16GB storage to the runners. 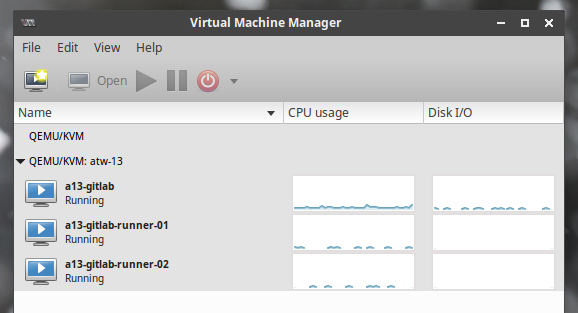 These guest VMs do not need a GUI. Just do a basic Ubuntu server. I know this is an internal setup, but the Docker registry assumes SSL access, and browsers these days really complain when logging into a non-SSL site. So we should go through the pain of installing one. Choose a FQDN to use for the Gitlab server and the Docker registry. Configure the DNS on your network accordingly, and provision the SSL cert. I have an SSL gateway on my network that is used to generate the cert, but you can do it however you please. If the cert is generated off-site, it will still need to be on the Gitlab host for the Docker registry (more on that later). Log into the Gitlab VM and install Gitlab. Follow their detailed guides or my simplified one here. Log into your new Gitlab server to make sure it’s working and to set an initial password. Once that’s working, continue on to configuring SSL and the Docker registry. Generate the SSL cert and copy them to the Gitlab host. SSH into the Gitlab server and edit the config. The original config has useful comments. Read them if you wish, but I like to simplify things by removing them. Save the original file, then consider using my simplified version. Here is my config. I copied a cert from my gateway, so the paths are a bit different. Adjust as necessary. Save and exit from the editor. Then run the reconfigure tool. If all works out, then you should be able to access Gitlab through SSL. Yay! Take a few minutes to tinker with Gitlab, setting up some users, groups, repositories, etc. You can also tinker with the integrated Docker registry, although the real wow factor of that feature doesn’t come to light until we setup CI/CD, which needs the runners to be installed. Now run this register command again. Run through the prompts again, replacing ‘docker’ with ‘shell’. Now log into the second runner and perform the same commands (don’t forget to use the correct hostname). Docker and shell runners allow deployment operations to be ran both in Docker containers and plain shell for commands that are not compatible with Docker. Read more about additional available executors. 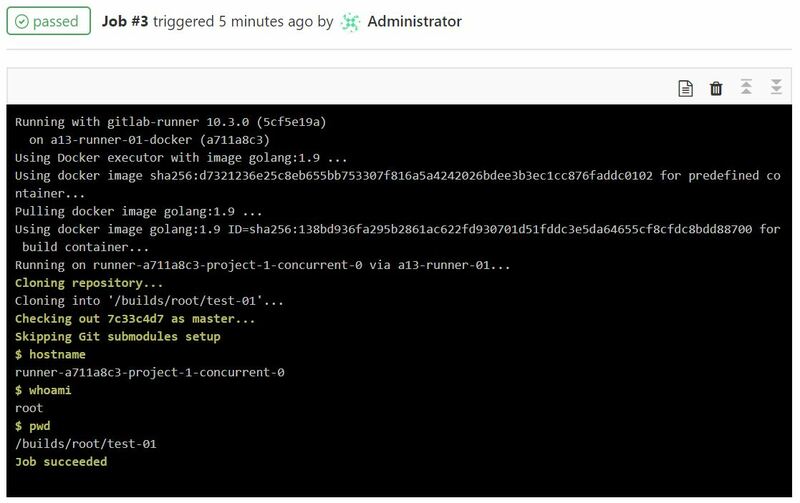 I run Docker commands inside of shell runners…it requires a bit of a security change that gives Docker access to the gitlab-runner user. There are plenty of security reasons to NOT do this, so be aware. When completed, go to your Gitlab homepage and hit the admin area icon at the top, then Runners on the left navigation. Check your list of runners with mine. Create a new project in your user namespace, call it test-01. This will land you on a new project page. Hit the + next to the checkout URL, and hit New File. Now quickly hit CI/CD -> Pipelines from the left navigation. There should be one pipeline there and might still be running. Click on it to see the two jobs. As the jobs run, their icons will change. Click on one to see the job’s output. For fun, we ran some common commands to see what the environments are like. Note the user that a Docker runner uses compared to the shell runner. Congratulations, you now have a hosted development environment to host your projects! I can’t leave you using your shiny new dev environment without setting a backup policy. So please refer to the below two documents to backup the config and the repository data. If I breezed over something, please feel to request clarification or ask questions in the comments.